Dow-Key® Microwave’s Hi-Repeatability Reliant Switches™ product line is economically priced to minimize impact to budgetary concerns and are designed to deliver its specified performance over the life of the switch. Reliant Switches are available as SPDT, SPDT terminated and SP6T terminated, and are ideal for ATE applications where insertion loss repeatability and switch life is important. Reliant Switch™ series is the latest addition to Dow-Key product portfolio. The Reliant Switch™ series has a switching time of 15 ms and it is offered with a nominal power supply voltages of +12Vdc or +24Vdc. The switch can be controlled by applying ground to close the desired port, but it is also available to be controlled via TTL logic (by applying +5vdc to close a port or +0Vdc to open a port) or CANbus (to use with Dow-Key controller boards). 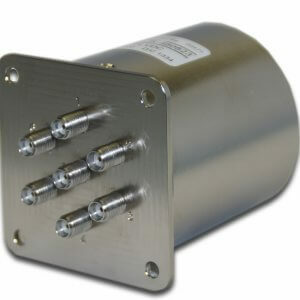 The Reliant Switch™ series operate over a -25°C to +75°C temperature range and can be stored between -55°C to +85°C. 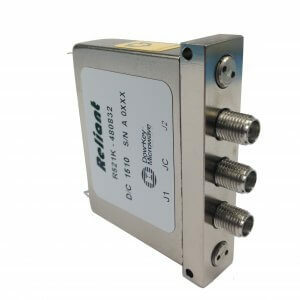 For antenna and radar related applications, the switch operates up to 15,000 ft and can be stored at 50,000 ft without any performance degradation. 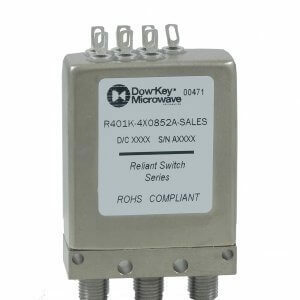 For more information contact Dow-Key® Microwave at askDK@dowkey.com or check out Reliant Switch™ series solution page.